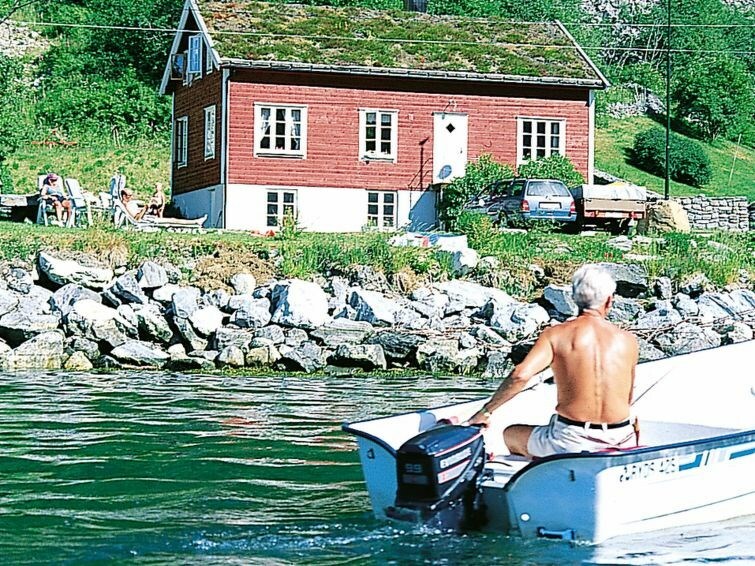 Charming timber holiday cottage with a private shoreline in the sheltered and quiet town of Norddal. Norddal is only a small detour from "The Golden Route" that goes from Geiranger to Åndalsnes. By the waterfront is a great spot for swimming. Here is also an old row of boat houses, creating an idyllic and peaceful atmosphere. 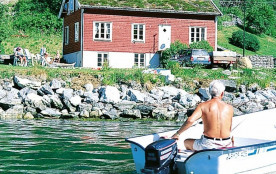 The cottage is the last house at the end of a road, with wheelchair access - also to the boat. A rowing boat with motor is included. Beautiful mountains surrounds Norddal and encourage you to experience the scenery. Go fishing for trout in Herdalsvannet.